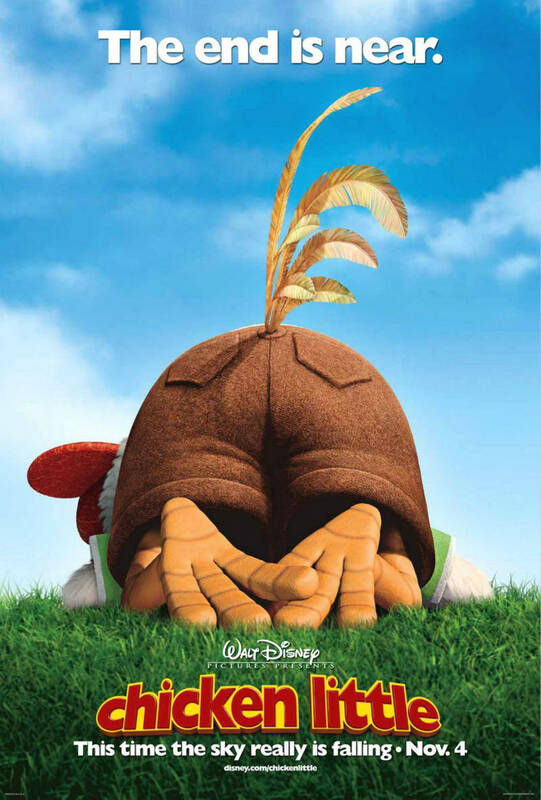 Chicken Little is a 2005 American 3D computer-animated comic science fiction comedy film produced by Walt Disney Feature Animation and loosely based on the fable of the same name. The font used for the film title in the poster is very similar to Gill Sans ExtraBold Display, which is a display font that belongs to the Gill Sans font family, a humanist sans serif originally designed by English type designer Gill Sans in 1927. In addition to Chicken Little, Gill Sans typeface is also used in the following logos, movie posters or album covers etc., including: Rookie of the Year, AMD, Frequency, Shallow Hal, Magnum Force, Mr. Popper’s Penguins, Save the Children, When in Rome, The King’s Speech, Christmas with the Kranks, Saab, Tokyo Stock Exchange, Comedy Network, Tommy Hilfiger, Ferris Bueller’s Day Off.